After decades of focusing on pastoring churches and running his consulting business while pursuing music behind the scenes, bassist Mark Hampton has returned to his jazz musician roots with the creation of his new album, ROOTS. 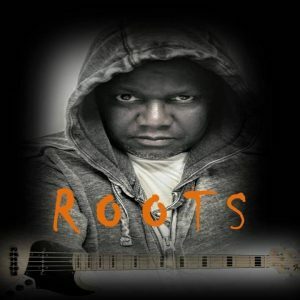 As he has described it, ROOTS is “rich bass grooves, African rhythms, and melodies that tell the powerful story of the historic African American Ancestry,” using “music production that includes jazz, classical and funk all mixed into one.” Hampton is celebrating the album with a Jazz Night performance in the Bronwynn Theatre at the McConnell Arts Center on Saturday, February 17th at 7:30pm. Tickets are available here. Keep reading for my thoughts on this engaging album of diverse sounds based in textured smooth jazz. ROOTS reveals Hampton to be a musical renaissance man – while his bass skills are in the spotlight here, he also played all keyboard parts and produced the entire album, helping to make the work a singular statement. And as he has sought to tell a story here, he utilizes moods, styles, song titles and more to establish a narrative of African American ancestry. Opener “Door Of No Return” strikes a mood of nervous energy and resolve while also establishing some recurring musical themes for the album, with Hampton’s agile bass work propelling the track forward. His funky bass lays down a heavy groove for “Intellect,” keyboards join to add drama, and the sounds gel for a thrilling climax. “Field of Dreams” uses vocal samples of Dr. Martin Luther King, Jr. and African and Spiritual motifs to conjure determination with a sense of hope for the future. The beautiful piano tones on “Journey” lay the groundwork for an epic voyage, including a gritty bass melody and a powerful full band passage. Hampton’s bass hums in an upper register for a stirring and spiritual start to “Earth Tones” before heavy bass and keyboard work, including a dramatic solo, push forward with soulful backbone. The title track shines a spotlight on the thick and nimble bass tone, but is also flavored with driving keyboards, and has an air of determined courage. Finale “Still Here” echoes the album’s recurring melodies, offering a moment to reflect on the musical journey while also pushing into the future with a funky groove in support. ROOTS is recommended for jazz listeners looking for a passionate performance that tells a story, and especially lovers of funky bass grooves. Looking forward to hearing more from Mark Hampton in the future! Check out the live version of the album this weekend, and stay tuned to his website for album purchase details.